When we were growing up we had a computer game that we all loved to play on Sundays – “Sunday, That One Day.” It had fun activities to do as you went through the day with a little squirrel, his family, and a church congregation of other animals. It talked about how Sunday was the day that was “better than all the rest”! 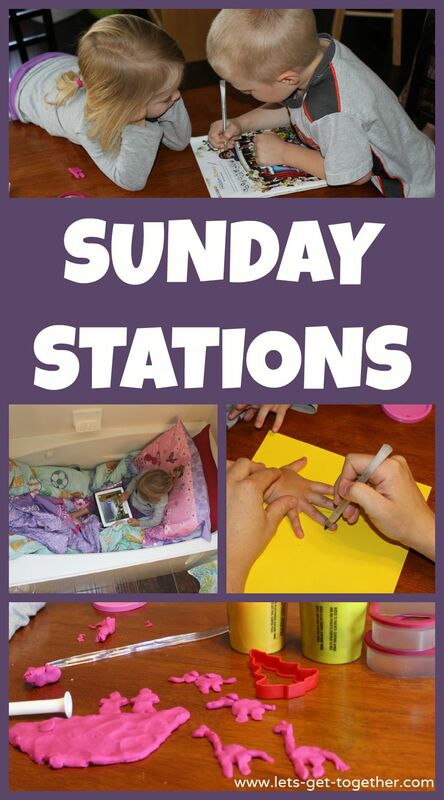 I’m not sure I liked Sundays more than every other day of the week when I was a kid, but my Mom did come up with something that helped make it meaningful and fun – Sunday Stations! Every Sunday before or after church (depending on when our assigned meeting time was), my Mom would set up 4 “stations” around the house for us to rotate through. Stations consisted of Sunday appropriate activities that helped us think about Christ and have the right spirit of reverence. They included things like reading the Friend or New Era magazines, writing in our journals, writing a letter to grandparents or missionaries, working on Personal Progress or Duty to God, etc. One of the most fun parts about Sunday stations was how my mom placed stations in different places around the house. One place in particular was the favorite – the bathtub! We would fill the tub with blankets and pillows (after making sure it was dry :)) and then camp out to read or do one of the other activities. It was a highlight then, and still is for my kids! Other stations were at the kitchen table, outside, on the family room couch, etc. Then my mom would set the timer and we’d spend about 15 minutes at a station before rotating to the next one. Scripture painting or drawing: Just like scripture Play-doh – let them paint or draw anything they can think of from the scriptures. Read a story together from one of the church magazines, or have them do one of the activity pages. We love the “Games and Activities” page on the Friend website – they have coloring pages, matching games, hidden pictures, and a great tool for learning and memorizing the Articles of Faith. 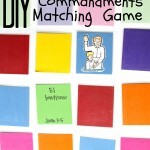 Bible and Book of Mormon apps: This is the one we usually do in the bathtub! We are cheap so haven’t spent any money on scripture apps, but have found some good, free ones that the kids like to play (LDS Scripture Heroes; Kingdom Media LLC also has several free apps that are great for preschool-aged kids – Daniel and the Lion’s Den, Miracles of Jesus, Moses and the Parting of the Red Sea, and a few others). Journal writing: This is one that requires parental help for our kids. I ask the kids to tell me about their week, what they like to do, or anything else that’s on their mind. You could use an actual journal or type it up on the computer. I have some really funny journal entries from before I could write on my own that are priceless to read (i.e. “Natalie pulled my hair. I hid her stuffed animals in the laundry basket.” Ha! :)). The more verbatim you dictate what your children say, the more fun it will be for them to read later! Journal drawing: Have the kids draw something they did during the week, and then write a short description on the back. Anything else you can think of! 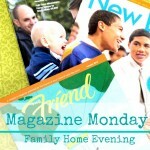 For example, have you heard about how “The Friend” magazine is collecting “helping hands” this year? 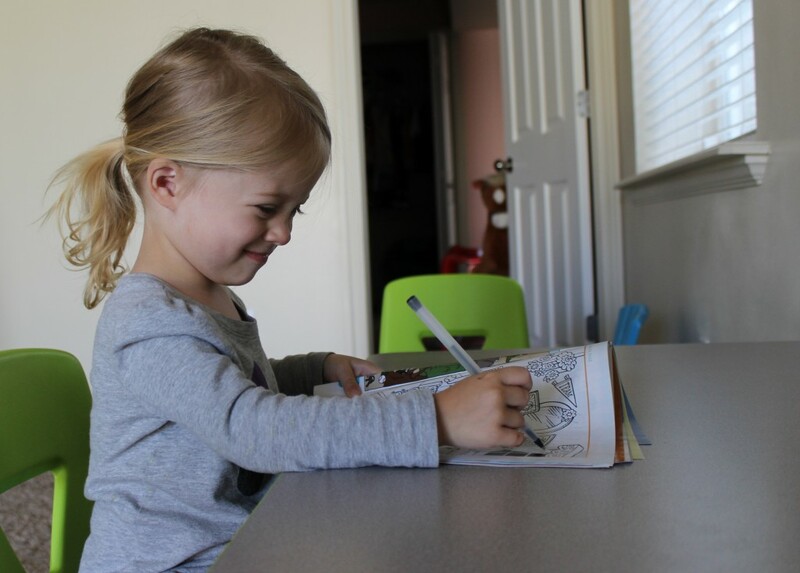 Anytime your child does a good deed, you can trace their hand, write on it what they did, and take a picture of your child with their “helping hand” to send into “The Friend”. 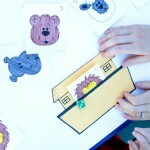 For one of our Sunday Stations we traced and cut out about 20 of our kids’ hands on colorful paper. Whenever they do something nice or go the extra mile to help someone, we write it on one of their helping hands and tape it to their closet door – a simple way to remind and encourage them to do good things! Family games: Sometimes we combine to play some of the Finch Family Games my mom and sisters and I have made. The kids love this! Write missionaries, family members in the military, grandparents, cousins, etc. Indexing: This process records historical records online so they can be searched and used for genealogical research. And anyone can help! Here are some great tips to help you get started. Have your kids read stories about or look at pictures of their ancestors. Learning about the hard things they went through or things they enjoyed doing can help them feel a connection to their ancestors, give them a greater sense of their own identity, and strengthen their confidence to make it through their own trials! Another fun idea every once in awhile is to visit temple grounds, a visitor’s center, or other church history site together as a family.Whatever you do, rather than it being “that one day” your kids dread, find simple ways to make Sundays meaningful and reverent, but also fun. Then maybe eventually you’ll find it truly is the day that is “better than all the rest”! To help with your own Sunday Station activities, we’re giving away some Finch Family Games and Activities books! 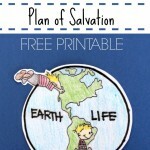 You’ll find awesome additions to your own Sunday Stations (or Family Home Evenings or Primary lessons) in these pages. 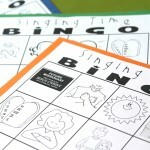 Games, activities, coloring pages-it’s all right here! All you have to do to enter is leave a comment below. We’d love to hear what you do to help your littles on Sundays, but any comment will do. We’ll randomly select a winner next Friday, August 14th. 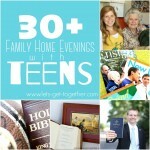 To see more great church and family ideas, like “Let’s Get Together” on Facebook! Click here. We like to go on walks, watch old home movies, or break out old family pictures, plus we have a tradition where we always make brownies on Sunday. Congrats, Molly! You’ve won. We’ll be emailing you to get your mailing information. Oh, and watching old home movies is the best!! We like to watch Music and the Spoken Word, and make treats to share with friends. We like to go on walks and visit with family! We love walks and Legos in Sunday afternoons. We like to do puzzles. 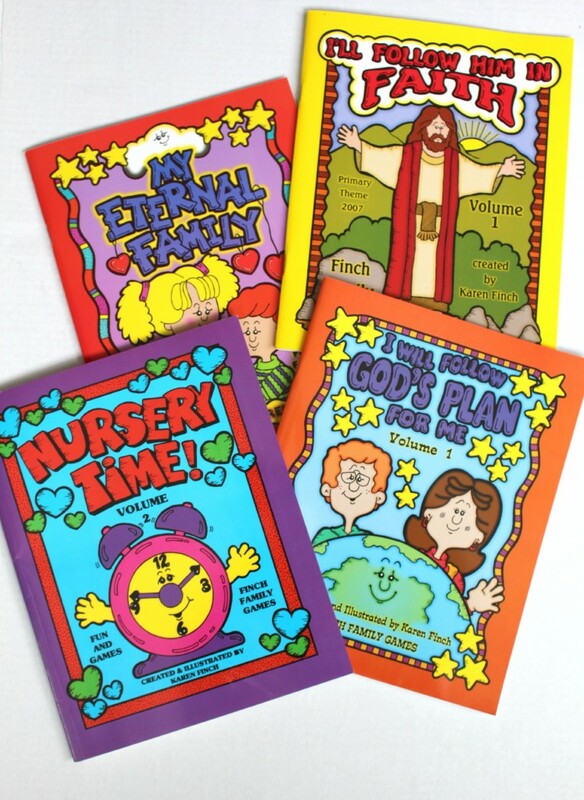 I’m working on collecting the scripture story puppets from past issues of The Friend so we can add those to our Sunday box.